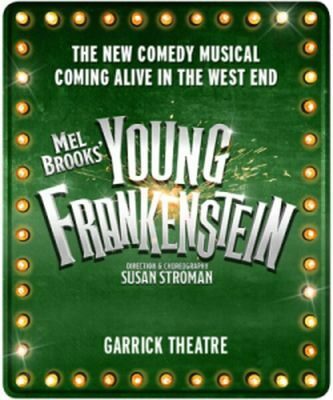 Mel Brooks’ Young Frankenstein Theatre Breaks are no longer available at the Garrick Theatre, London. The London run for Young Frankenstein Theatre Breaks closed on Saturday 25th August 2018! Written by Mel Brooks who was recently awarded the BAFTA Fellowship, the highest honour that the Academy bestow and a lifetime achievement recognising his remarkable career across the arts. Based on the hilarious 1974 film which Brooks co-wrote with the late great Gene Wilder, who also played the part of Frederick; this time he collaborates once more with Thomas Meehan, with whom he worked on The Producers, and it will directed by Broadway choreographer Susan Stroman. The cast will include Ross Noble, Lesley Joseph, Hadley Fraser, Dianne Pilkington and Summer Strallen.